This content was published: September 7, 2016. Phone numbers, email addresses, and other information may have changed. 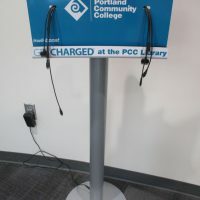 The major projects that have transformed Portland Community College’s Cascade Campus recently met two major milestones: The remodeled Library and its new plaza are now open and getting rave reviews from students and staff, while two new buildings – Cascade Hall and Student Union – have won LEED Gold certification for green design and construction. 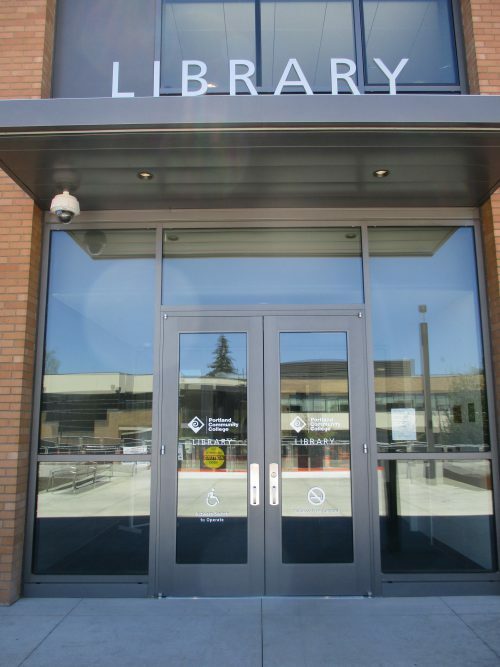 The projects are part of the nearly $58 million in campus work funded by the bond measure approved by voters in 2008. 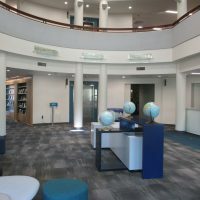 The Library remodel, which took more than a year to complete, first required the demolition of the ‘70s-era Student Center, which was attached to the Library and served as its entrance via a long, dark passageway and two sets of doors. 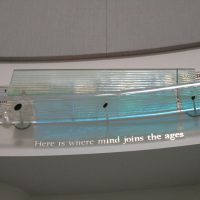 Removing the outdated building allowed Hacker Architects to design a true front entrance for the Library in the form of a two-story glass vestibule. It also opened up space for a new plaza that extends the campus mall from North Mississippi to Commercial avenues. 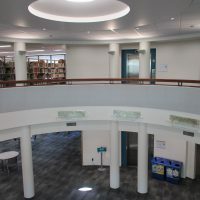 Where once students could only enter the Library through a dark passageway from Student Center, the Bond Program’s extensive remodel has given the building a true front door. 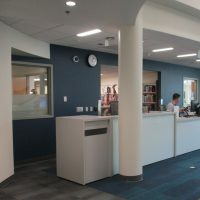 Amber Quinn, Library supervisor at Cascade, said the remodel also solved another major issue: the absence of restrooms. 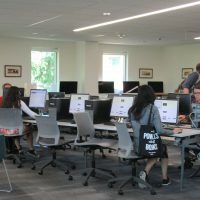 Prior to the bond work, students had to pack up their books and other materials, walk through the passageway and use the facilities in Student Center, then return to the Library and unpack all their materials. Hoffman Construction added restrooms on both the first and second floors and removed some interior walls to open up common spaces. adding doors to the Rev. 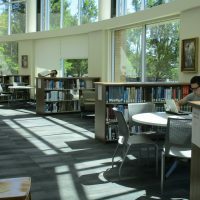 John Jackson Reading Room on the second floor, which increased its utility as a quiet study space. 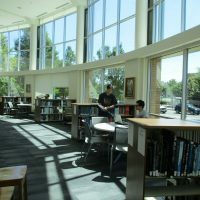 Comments from several users on a recent summer day indicate that the Library is now more functional as well as more light, open and inviting. 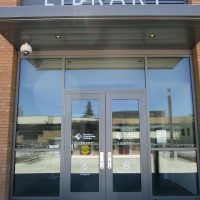 Taro Baugnon, a paralegal student in his second year at PCC, said that although the remodeled Library is not bigger in overall size, it has a great presence. 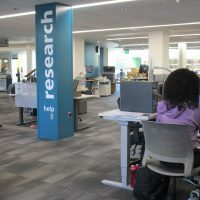 After passing through the vestibule entrance, students are now immediately greeted by the research desk and computer area, which has several rows of PCs and now, four Mac computers instead of two. View a time-lapse slide show of the construction work at the Library from both inside and out, from July 2015 to present at Hoffman Construction’s webcam. 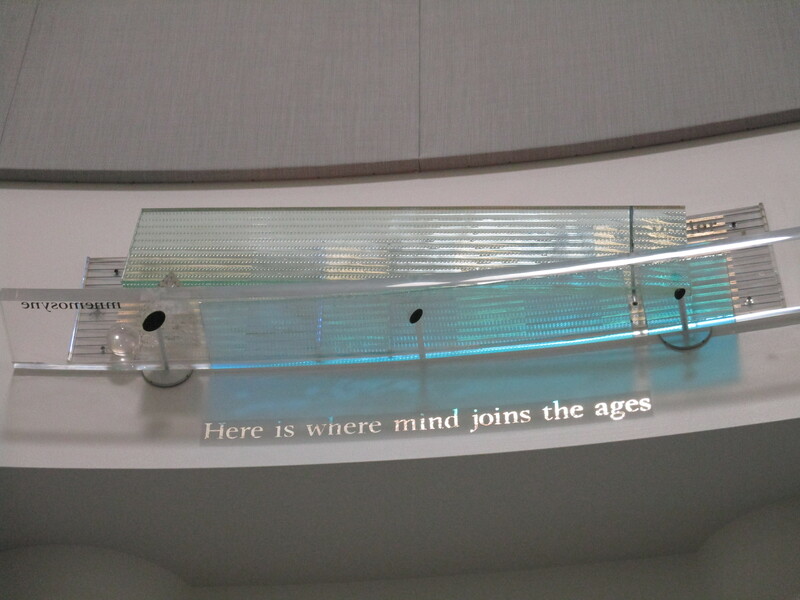 Decorative glass fixtures have been installed just below Cascade Library’s second-floor balcony. Meanwhile, at the west end of campus, the country’s foremost rating program of green design and construction has recognized PCC’s commitment to sustainability by awarding LEED Gold to the two new buildings that opened at Cascade last year. LEED, which stands for Leadership in Energy and Environmental Design, is a voluntary rating system with four levels of certification: Certified, Silver, Gold and Platinum. PCC strives for a minimum of LEED Silver on all new construction. 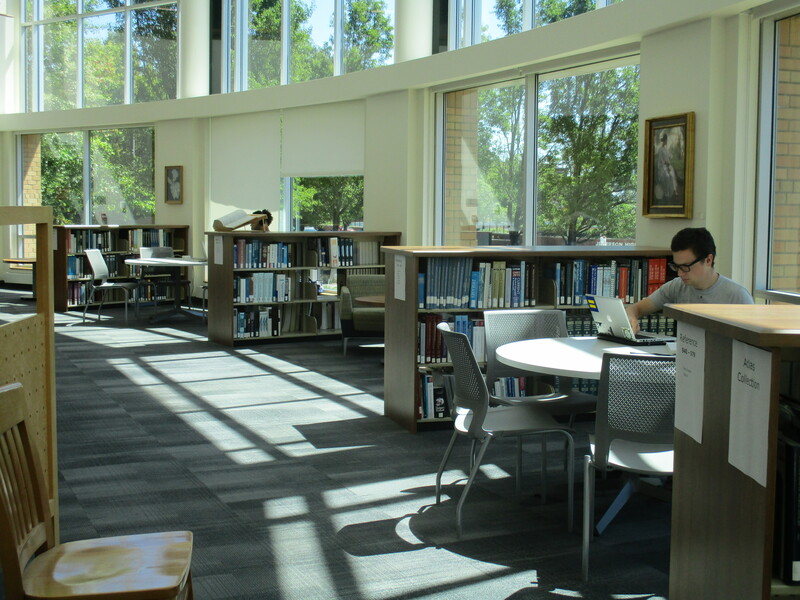 Student Union is home to the campus’ resource centers as well as student clubs and government offices, a study/lounge area, flexible meeting space, and food service and dining facilities. 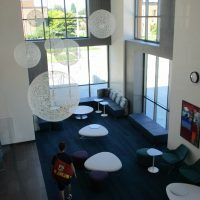 Cascade Hall houses 14 general purpose classrooms, plus the Center for Careers in Education, the Portland Teachers Program and a childcare center. Both buildings were designed by Hacker and built by Hoffman working with Pacificmark Construction, a state-certified minority-owned business. Energy use reduction: advanced operational systems; R-20 wall insulation and R-50 roof insulation; high performance window glazing; and exterior sun-shades. Water use reduction: projected to be at least 30 percent better than code. Storm water management: treats and disperses 100 percent of storm water on site. Landscaping with native or adapted species: reduces irrigation demand by at least 50 percent. 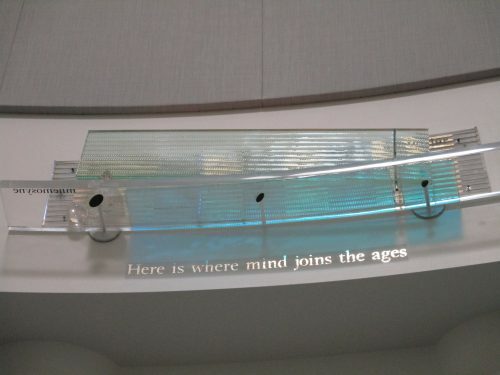 Hodges explained that in addition to reducing the campus’ carbon footprint, Cascade Hall and the Student Union help ensure a better environment for humans, too.